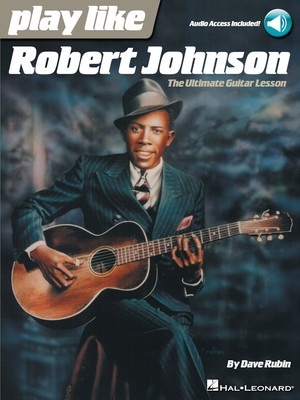 Study the trademark songs, licks, tones and techniques of the King of the Delta Blues Singers, Robert Johnson. This comprehensive book and audio teaching method provides detailed analysis of his guitars, techniques, styles, songs, licks, riffs and much more. You'll learn everything you need to know about Johnson's legendary guitar playing, as captured on his 29 known recording from 1936-7. Includes access to audio tracks online for download or streaming. Five full songs are included: Come on in My Kitchen • Cross Road Blues (Crossroads) • I Believe I'll Dust My Broom • Kind Hearted Woman Blues • and Sweet Home Chicago, plus excerpts from many more signature tunes.